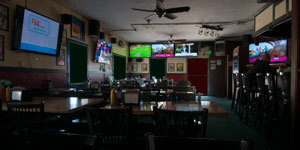 The Sports Page is a San Francisco Bay Area sports bar located in the heart of Silicon Valley next to Century 16 Theaters, just down the road from the Shoreline Amphitheater and right off Highway 101 in Mountain View. 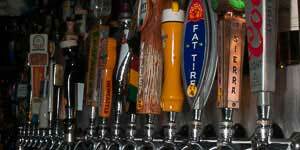 There are 30 Taps, all major liquor brands including premium scotch and tequila. Along with patio seating in the back, there are two pool tables, two ping pong tables, two dart boards and a full size sand volleyball court. The Sports Page has 15 HD TVs, 14 Receivers and many of the Directv Sports Packages including NFL Sunday Ticket (Pro Football), MLB Extra Innings (Baseball), NBA League Pass (Pro Basketball), NHL Center Ice (Hockey), ESPN Full Court (College Basketball). Champions League and international soccer. Open at 9 am on Saturday and Sunday during Football season with a breakfast menu. 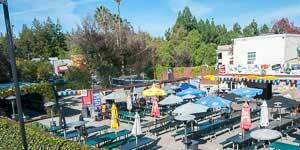 Live Music Friday and Saturday Nights, Karaoke Wednesday nights and Trivia, with prizes, Thursday nights.